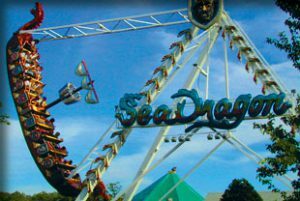 Clementon Park and Splash World is a small amusement park and is one of the world's oldest operating amusement parks. Among its 24 rides, its most popular ride is the log flume, King Neptune's Revenge, although the new roller coaster, Hell Cat, is also very popular among the new generation. Come and have a blast here at Clementon Park. Other Specials & Coupons To view Clementon Amusement Park Admission Tickets, other Specials and Coupons, go to their special page by clicking here. Clementon Amusement Park updates this page throughout the year, so check back to see if new specials and coupons have come in. Note to our visitors Clementon Amusement Park coupons and specials can change without notice. So please visit their official website to make sure of the latest pricing and coupons.